National Harbor hosts a year-round line up of amazing events and super-fun attractions — right on the gorgeous waterfront. Check back periodically for events that offer something for everyone. 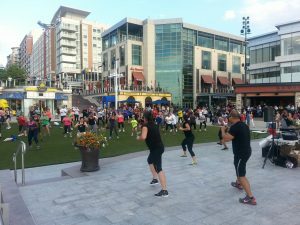 Join us every Tuesday night at 7PM for Zumba on the Plaza. Summer Fitness brought to you by Gold’s Gym.